1Lt Edgar C. Miller (CP) - Was upgraded from, CoPilot to Pilot on 05 May 1944. Flew 18 missions with the Earl N. Thomas Crew and then flew 14 credited missions as a First Pilot (See: 360BS Edgar C. Miller Crew Photo). Completed combat tour on 02 June 1944. T/Sgt Gayther B. Crowder (E) - Originally member of the Lt Arthur C. Way Crew. Flew 2 credited missions with Lt Way and then became a replacement Radio Operator with other crews. Flew 8 credited missions with the Thomas Crew when he completed his combat tour on 8 March 1944. Was replaced with T/Sgt Victor W. Dewitte, who flew 15 missions with Lt Thomas and 4 with Lt Miller. Flew his last mission with Capt Thomas on 6 June 1944. All of the original Earl N. Thomas Crewmen completed their combat tours without injury -thanks to the good piloting by Lt Earl N.Thomas and Lt Edgar C. Miller and excellent teamwork by the rest of the crew. 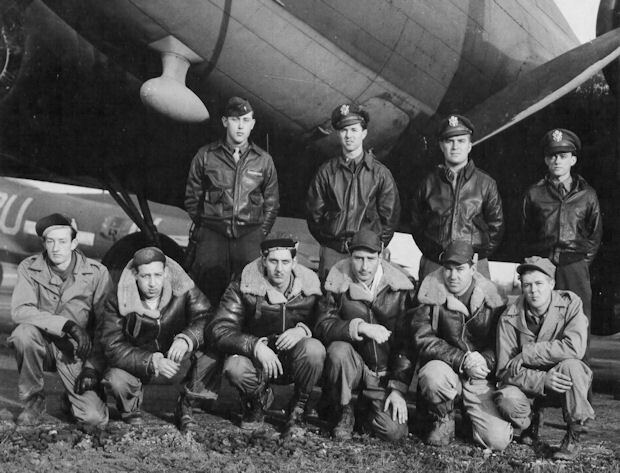 Their missions were flown during a period of heavy losses by the 303rd BG(H) and Eighth Air Force.